SGM has been selected as finalists in each of the three categories entered! We were very excited to have been shortlisted and the next stage was to undergo a rigorous interview from the judges for each award category. Out of the six shortlisted entrants there can only be three finalists. Having been shortlisted for three categories we really didn’t expect that we would be finalists for all three so when at the end of last week we learnt that we had, well that was awesome news! 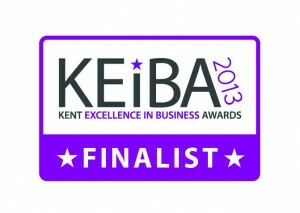 Being finalists at the KEiBA is a fantastic achievement. We will feature in the brochure, receive trophies and receive some great press coverage. The achievement really is a testament to Sleeping Giant’s business success over the last couple of years. The awards night is on 27th June, with the winners being announced over dinner at the Kent Event Centre in Detling. A team of us will be representing Sleeping Giant Media and although we know we’ll definitely be returning to Giant HQ with trophies, we’ll have our fingers crossed that they’re winners trophies!